In September 2016, the Centers for Medicare and Medicaid (CMS) issued a new rule that impacts about 1.5 million people in long-term care facilities. It was the first comprehensive review of rules that apply to facilities that accept Medicare or Medicaid in about 25 years, and it may impact residents for many years to come. One new rule that was issued prohibits nursing homes that accept Medicare or Medicaid funding from forcing residents to sign pre-dispute arbitration agreements. For many years, it has been common practice in the nursing home industry for a resident to have to agree to binding arbitration for any dispute before the dispute occurred. Residents were required to agree to this binding arbitration as part of the admission paperwork. Sometimes, the arbitration clause was in the fine print of the admissions contracts and residents, and their families, did not know about it until something went horribly wrong. Even if the residents and families did know about the arbitration clause, there was little that they could do about it. If they refused to agree to arbitration then they would not be admitted to the nursing home. Since it was standard practice in the industry, it left nursing home residents without any real options: they needed nursing home care and the only way to get it was to agree to arbitration and forego their right to bring a lawsuit. Whatever decision was reached during arbitration was binding and there was no ability to appeal it. Additionally, the decisions are typically confidential which kept the public from knowing the true extent of nursing home abuse and neglect. 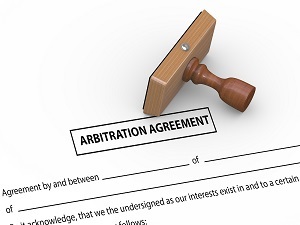 Over the years, the United States Supreme Court upheld these arbitration clauses. Yet the practice sometimes left residents and their families without the opportunity to have their day in court even when nursing home abuse or negligence significantly injured or even killed a resident. Beginning on November 28, 2016, nursing homes that accept Medicare or Medicaid funding may no longer require residents to sign binding arbitration agreements as a condition of admission. In other words, if a resident refuses to agree to arbitration the nursing home must still admit the person to the facility. Does not prevent or discourage the resident from talking to government authorities about quality of care issues. Additionally, the new rules require that any arbitrators used must be neutral and the arbitration must occur in a convenient location. First, legal challenges to this rule are expected. The nursing home industry doesn’t like it and may argue that CMS did not have the legal authority to make this fundamental change. Others argue that it doesn’t go far enough to protect nursing home residents, and still others argue that it won’t result in any significant change. Second, it is important to carefully read all admission paperwork before signing it and to make informed decisions about what is best for your loved one and family. Third, whether or not your loved one is bound by a mandatory arbitration agreement, it is important to talk to an experienced nursing home abuse lawyer if your loved one is hurt because of nursing home staff members’ abuse or negligence. There is so much to consider when your loved one enters a nursing home. It is often an emotional and overwhelming decision. The paperwork that you have to sign can be more than 50 pages long; it can be confusing and difficult to understand. Thus, we encourage you to learn as much as you can about the process, about your loved one’s rights, and even about what could go wrong in a nursing home so that you are prepared for any situation. To learn more, please browse the free resources on our website and read our FREE report, Fighting Back Against Nursing Home Abuse: What Families Need to Know to Help Their Loved One.